Music can be a potent motivator, whether you’re powering through the final miles of a road race, pushing through a PR or meditating on your favorite mantra, your tunes can make or break you. FitRadio allows you to choose from popular workout styles, music genre, BPM (beats per minute aka tempo) and mixes from popular DJ’s to get you through your workout. Our favorite feature? The pace matched music and distance tracking for you cardio fiends out there. Download it now. Seriously. Basic and effective. And for all of you iOS fans out there, it syncs seamlessly with your Apple Watch and smartphone. Quick and easy to use, you can record your strength and cardio workouts without taking extra time between sets, which you can time with the in-app Auto Countdown. Strong will also suggest warm up weights based off of your workouts and a plate calculator once you start making those gains. You can upgrade to the Pro version for just $5 to view your long term progress and save custom workouts to be used again later (up to 4 can be saved in the free version). There is no better accountability for your workouts than your wallet. With PACT you can earn cash (that’s right, cash) when you hit your goals. Create a PACT by setting your weekly health and fitness goals then, using the app (or sync it with My Fitness Pal, Fitbit, Moves, Jawbone and more), track your workouts and healthy eats to meet those goals. The monetary reward for your hard work is ponied up by those PACT users that don’t hit their goals. Harsh but hey, get it done right? If you are motivated by the cold hard green stuff, this app can be a real game changer! Fitocracy offers workout guidance, logging and a points based motivation system with the support and accountability of a social community. You can use the “need a little help” or “totally know everything” options to start your process. Then use the exercise logger, timer for cardio or HIIT workouts and seek out new exercises to mix up your routine. Their mascot Fred will calculate your points and congratulate you on a job well done. The basic version is free, it offers in-app purchases and upgrades of course but the ability to log workouts and support of fellow fitness addicts make for a fun download. 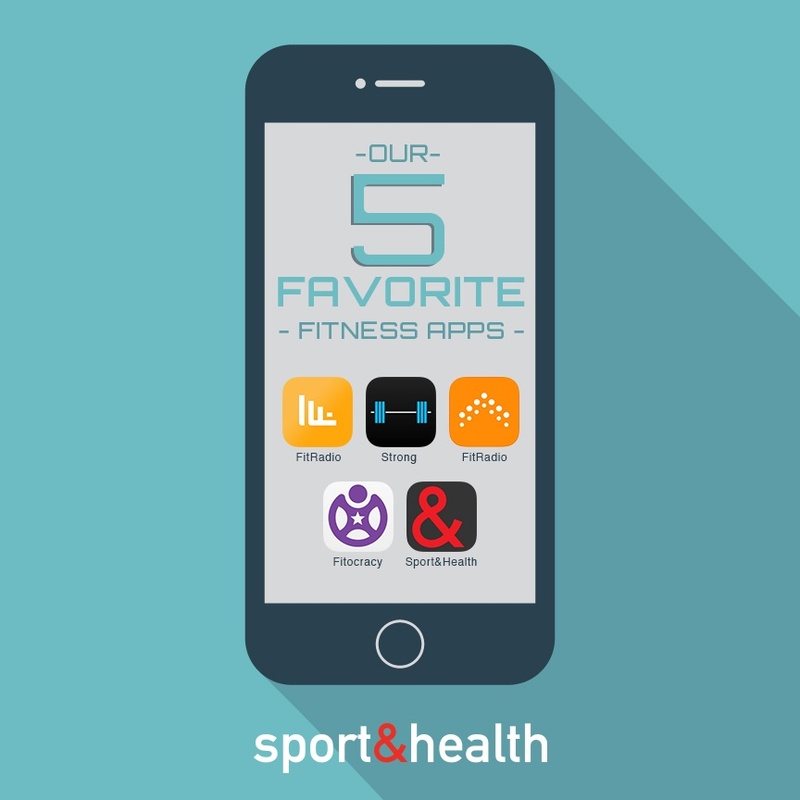 So all bias aside, our Sport&Health Fitness app is the best place to find out what’s happening in the club. From classes to workout tracking, you can #AmpitUp daily and acheive your goals! Available in iOS and Google Play.